Brace yourself. With autumn comes the early “official” deer kills. They will go on through the winter. The deer of Valley Forge National Historical Park (photographed in the banner image by Jeff Houdret) are among the communities annually targeted by the United States government. The vast majority of deer in the Park get shot down again every year. This means very few, if any, deer who stay in the Park will live past age two. The assault on the deer themselves and on their community’s evolution is grotesque. So we wipe out the wolves and then we establish policies to kill those who rise up to take their place. Coyotes, in most of the northern Americas. Then we have “too many deer”? No, we have too few carnivores. I’m working on a presentation on this connection, tentatively scheduled for Sunday 29 October, at SuTao Cafe in Malvern, PA, to kick off to World Vegan Month in Chester County. The presentation will be informed by the work of two groups who have directly confronted government assaults on deer: Philadelphia Advocates for the Deer (PAD), and Compassion for Animals – Respect for the Environment (Chester County CARE). Most other deer protection projects have rallied around pharmaceutical control as the “solution to the deer problem” but that answer oppresses and erases deer, just as mass killing does. And the deer contraception crusade allows the public to retain the idea that animals such as wolves and coyotes have no business living. Animal liberationists and environmentalists alike should be cultivating human respect for carnivores including coyotes. These beings have roles to play in a balanced bio-community. Our society must stop pretending that managing and micromanaging the balance of nature is humanity’s work. The weekend edition of CounterPunch offers a piece that will be familiar to Vegan Place regulars. My article in the current edition of CounterPunch adds information about a recent proposal by Allen T. Rutberg to capture up to 60 female deer in New York, and to experiment on their reproductive systems during the 2014-2019 period. I hope this information will be considered by advocates who condone contraception in deer and other undomesticated animals. Most animal protectionists already know how terrifying drop-netting is, how deer and other animals struggle when captured: the panic, the cries, the scrapes, the broken bones. I would suppose few advocates know this kind of capture is also planned for contraception experiments, and that the chemical birth control experiments which began four decades ago continue, with no end in sight. I ask the advocates who call “contraception in wildlife” a humane undertaking to read the article’s linked pieces, and to learn well what contraception entails. Kindly share the article if you’re so moved; and read some of the work by other CounterPunch authors whose pieces might not get mainstream attention, but have the potential to change humanity’s mindset. Most vegans are aware of the Humane Myth dynamic: Disturbing examples of industrial animal handling are exposed. For example, pigs are forced into narrow crates to efficiently produce more pigs for the business. A segment of the market appears, distinguishing itself as conscientious and humane, although its goal is the same: to turn pigs into bacon and make money. For in truth it’s all exploitation, from the first day the family farmers learn to use their insemination rods to the day they send their animals to the same old killing floor as the rest. And the “free-range” farms banish the truly free-living animals. The guards of the henhouse have scant tolerance for foxes. Now, on to a different humane myth. One that developed outside of agribusiness, in the woods, savannas, gardens and skies—places where, we hope and expect, animals live free. It’s the myth that populations of such animals can be pared by ourselves—humanely. In North America, after we killed most of the wolves because ranchers and hunters didn’t want the predators around, deer achieved a notable ability to thrive in our midst; yet they are pressed by our incessant construction and road-building into ever smaller and fragmented green places; and so they are described, in many areas, as having a high population density. 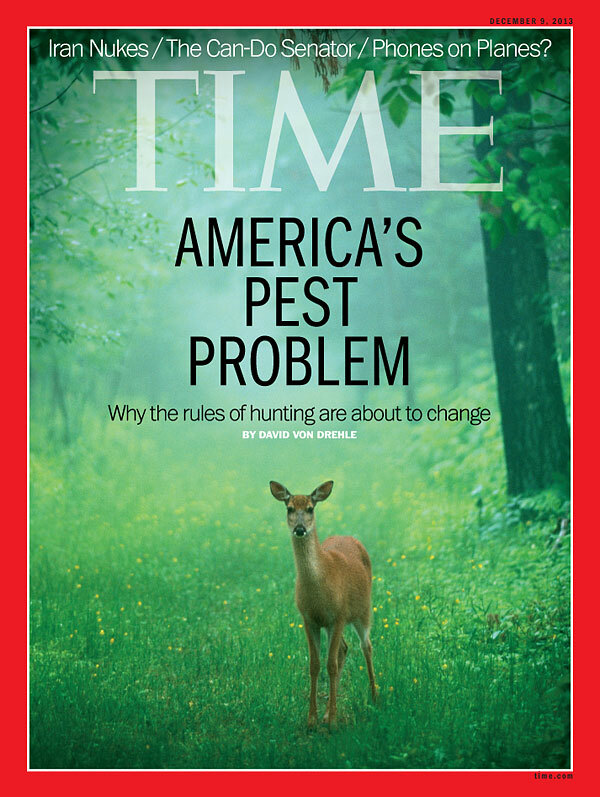 Government officials, goaded by media representations that alarm the public, advance the conception of deer as a problem requiring a solution. So officials make plans and draw up budgets, and people are hired to shoot deer on public lands and around cities by the hundreds or thousands. Regard a more sophisticated form of eliminating deer as sustainable and ethically defensible. Let’s examine this closely, because much is at stake. Do we really want patented, government-approved pharmaceuticals to ensure that other animals are controlled the way humans want them to be controlled? So that we achieve an officially prescribed “density” of the animals in question for any given expanse of space? Is the bio-community that surrounds us something to refashion through some macabre, Disneyesque design? The Humane Society of the United States (“HSUS”), People for the Ethical Treatment of Animals (“PETA”), American Society for the Prevention of Cruelty to Animals (“ASPCA”) as well as other animal welfare groups support the use of non-lethal technology to moderate the populations of pigeons. Left unchecked, pigeon numbers in a local flock can grow very rapidly. Traditional reproductive studies in rodents show very limited effects. Experiments to evaluate possible effects on sperm receptor formation in mammals are presently underway at Innolytics. …Trying to find relief through the removal of any “problem” animal simply exacerbates the problem. Unless you literally exterminate every pigeon in Butte, the residual population will simply keep filling the roosts and leaving behind reminders. Reproduction, folks. That’s the key to managing populations. And there is an excellent proven commercial solution for the problem of pigeon reproduction in the form of an Environmental Protection Agency-approved avian contraceptive. This approach has worked extremely well for pigeons in other cities and the broad approach of fertility control has worked well for wild horses, urban deer, bison, and even African elephants. Pigeons, free-roaming horses, deer, bison, African elephants…oh, my. Humane Society International, the international arm of the Humane Society of the United States, has been experimenting with contraceptive substances on elephants in Africa for more than a decade; they herald these intrusions as “a new paradigm for elephant management” and garner financial support from the U.S. Fish and Wildlife Service. But Africa’s elephant population has dropped to less than half a million, compared with five million elephants 65 years ago. So why do the Humane Society and U.S. government keep preventing elephants from naturally reproducing in Africa? 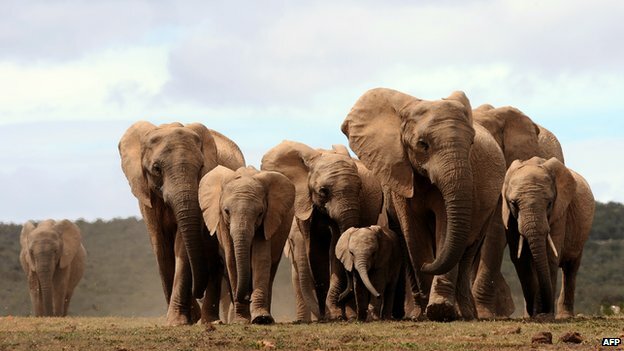 The Humane Society points to a lack of “new reserves established that can actually accommodate elephant.” (The singular form, elephant, is used in the original.) Highly vulnerable populations of long-tusked elephants, such as a genetically unique community of only 230 at KwaZulu-Natal’s Tembe Elephant Park, are being reduced through contraceptive testing—perhaps, warns Pretoria wildlife veterinarian Johan Marais, to fade into oblivion. The Humane Society possesses the knowledge and authority to decide and direct the means of control. But if elephant habitat is shrinking, isn’t that the real issue to address? Wouldn’t the best advocacy defend animals in their autonomous state rather than forcibly prevent their existence? In October 2000, within permit authority from the New York State Department of Environmental Conservation (NYSDEC), deer were humanely killed by a shot to the head or neck from a high-powered riﬂe ﬁred from a blind or a vehicle. The bodies were dissected to find any damage or disease resulting from the vaccine known as porcine zona pellucida (PZP), which hijacks the deer’s immune system so it attacks naturally occurring reproductive proteins. The most commonly used immunocontraceptive for controlling the reproductive systems of female mammals, PZP is “harvested from porcine ova”—taken from the bodies of pigs. Gary J. Killian and Lowell A. Miller had, just a few years earlier, published the results of six years of experiments at the Deer Research Center of the Pennsylvania State University. Deer subjected to PZP had fewer offspring (though “fawning” is mentioned in the study results, there is no commentary about the lives of these youngsters born under laboratory control) and the adults’ bodies changed so much that “the average breeding days each year for the control group was 45, whereas in some years some PZP treated does were breeding more than 150 days” of the year. Thus are the social lives of deer—the schedules of their lives—commandeered by the chemical. Meanwhile, everywhere humans impose our own brand of control on deer, the animal groups that naturally curb the deer population are treated as though their roles in nature don’t count. Wolves, bobcats and coyotes are persecuted continually—by traps, poisons, hunting and even killing contests. Insofar as the so-called non-lethal forms of animal control put coyotes and other omnivore or carnivore animals out of a job, they can help to perpetuate the deaths of those animals. So this is the other humane myth. Many an animal-rights activist has gone along with the idea of a contraceptive alternative—even offered to fund it or insist that local officials adopt it—because of the myth that it helps animals whereas killing harms them. But can the use of contraception on deer, elephants, and other free-living animals fairly be called humane? And in the broader view, shouldn’t we resist the erasure of animals who don’t amuse or enrich us, or perfectly fit their allocated spaces, as our own numbers relentlessly rise? Featured photo by Jeff Houdret: Three young deer crossing a meadow at Valley Forge National Historical Park in winter. Elephants: AFP.